Recibidor con alma propia en Acana Interiorismo. Aparador de la colección On Book, en roble fumé y rojo. Hall with a soul of its own. 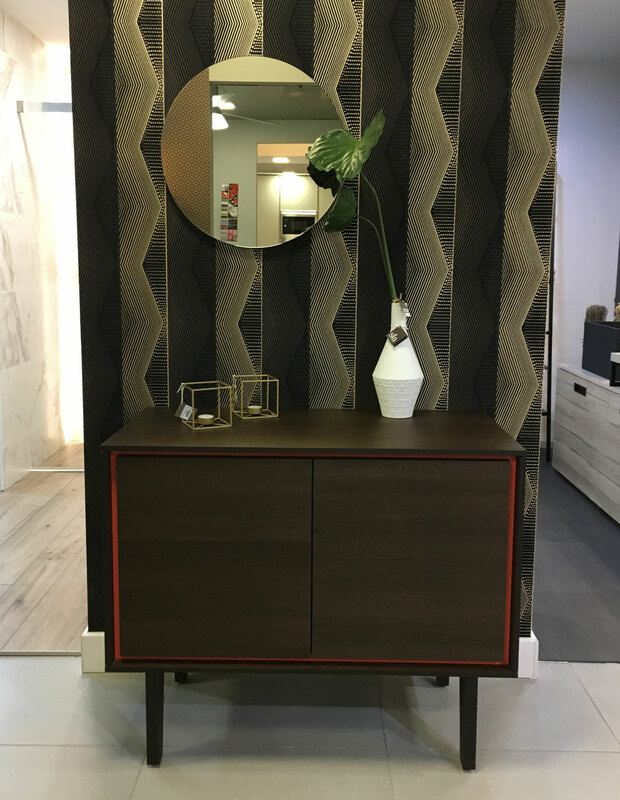 Sideboard of the On Book collection, in dark oak and red.